Who can tell us what the error is on at least three web sites about the aerial photo below? email message but are provided for visitors of this web page. The Ohio Memory and Ohio History Internet web sites are greatly appreciated. FROM: "In the upper right is Akron municipal airport." TO: "In the left is Akron municipal airport." That is, the words "upper right" need to be changed to the word "left". 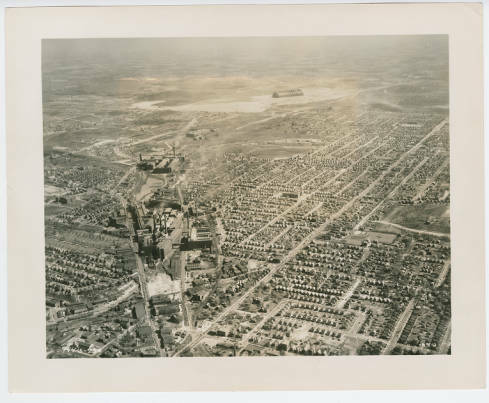 was taken in 1937 or 1938, long before the Akron-Canton Airport existed. We would like to know if the sentence "In the upper right is Akron municipal airport." is indeed incorrect and that the words "upper right" need to be changed to the word "left"
Latitude: N41°02'31.9", Longitude: W81°27'46.8", Elevation: 1,067 feet Mean Sea Level (MSL). 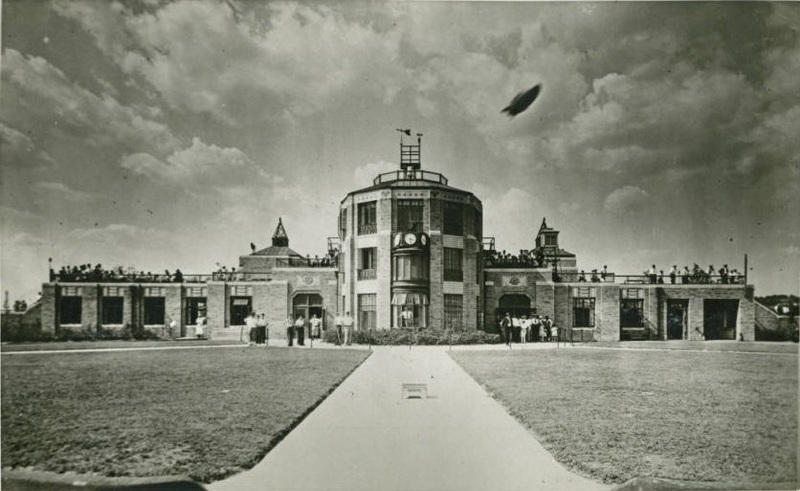 Goodyear Airdock, USS Akron, and USS Macon, refer to Episode 19.
sources) after the Akron-Canton Airport opened. 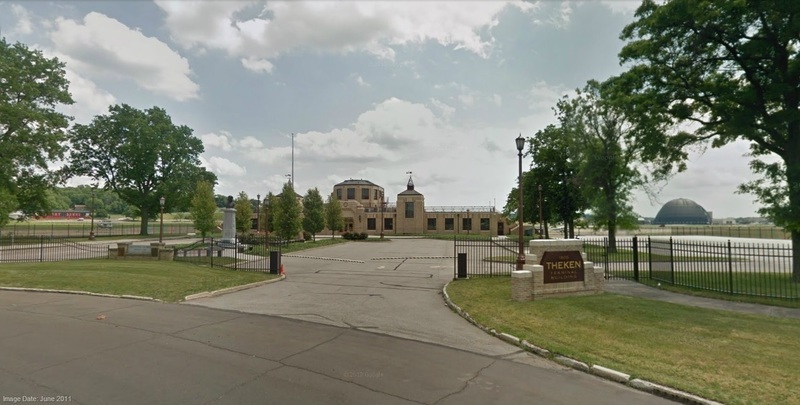 Medina County and the Terminal building has been vacant since then. 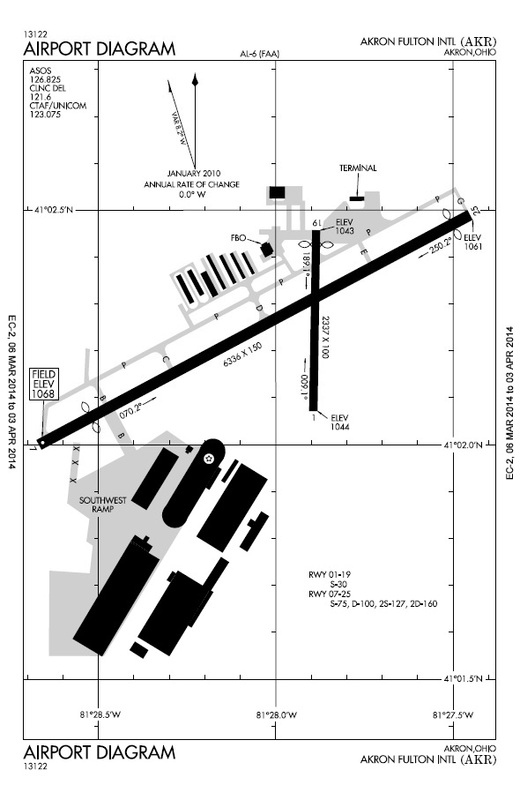 Runway 07/25 is 6,336 feet long and 150 feet wide. Runway 01/19 is 2,337 feet long and 100 feet wide. 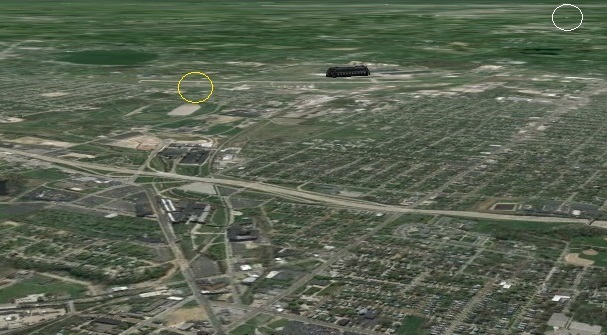 The Airport Diagram and recent aerial photo are given below and include the Goodyear Airdock. ISSUE #1: QUESTIONWhere's The Akron-Fulton International Airport Terminal? 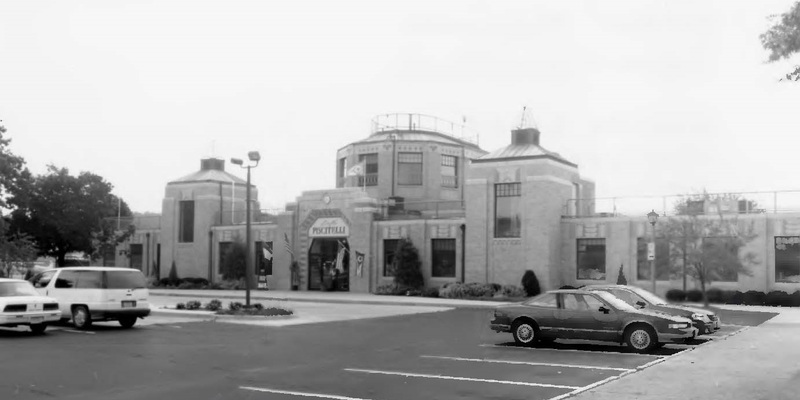 terminal located where the original terminal was located. the Goodyear Airdock and has an address of 1600 Triplett Boulevard Akron, OH. 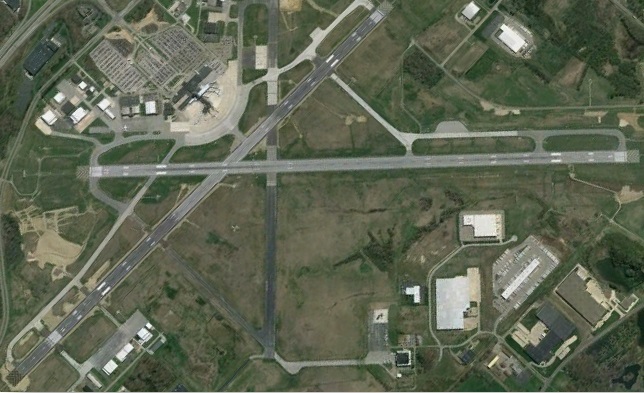 north and west of the runways. 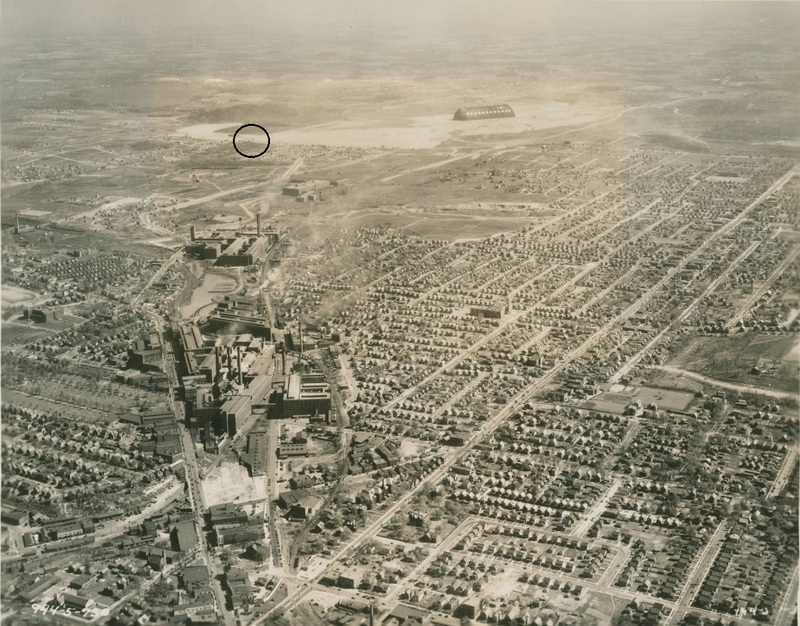 1800 Triplett Boulevard and circled in green below. 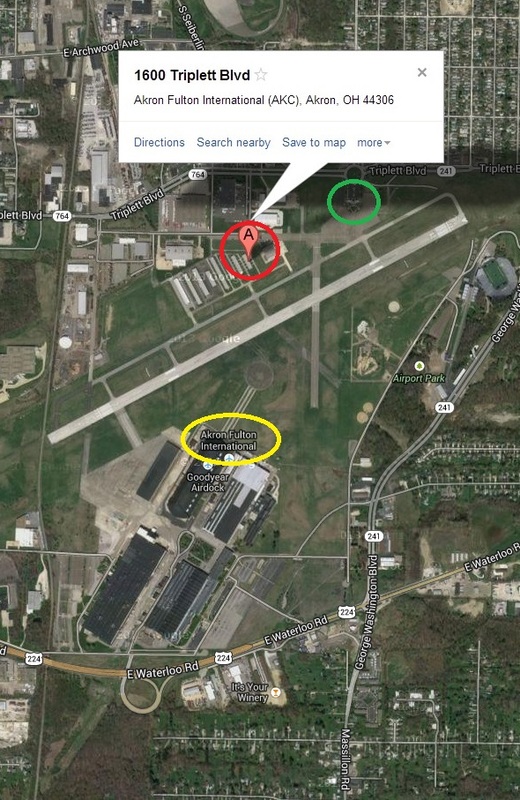 Right next to the Goodyear Airdock as circled in yellow below. 1600 Triplett Boulevard as circled in red below. The answer will be provided when those who have been contacted respond. Runway 05/23 is 8,204 feet long and 150 feet wide. Runway 01/19 is 7,601 feet long and 150 feet wide. The changes are also active for the copy of the photograph available through OhioPix. cannot update the information available on that site. contribution, and we hope you continue to enjoy the digital collections on Ohio Memory! The response to the email message above is given below. page. completed in 1929 and construction of the terminal completed June 15, 1931. “The Akron Municipal Airport terminal in Akron, Ohio. In 1924 Bain Ecarius "Shorty"
later became the Akron Municipal Airport. 1929. 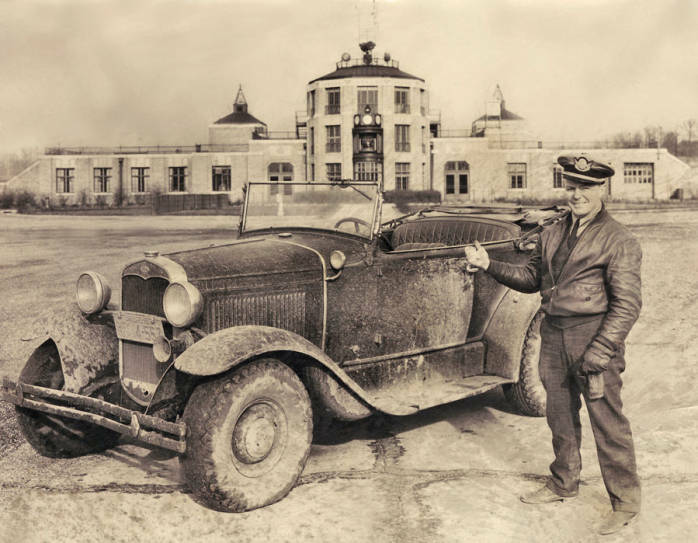 Then, on June 15, 1931, the airport terminal opened. space between the period after the word “honor” and the final sentence. “He managed the municipal airport for 34 years until retiring in 1962. Son Bain J. "Bud"
was “renamed” to include the word “Fulton”. Is it true that the airport began operation in 1929 (and not 1924)? This email message is also attached in the Microsoft Word file ThisOldAerialPhoto2.doc. The response to the email message above is given below. several other references to the name change. Akron Municipal Airport was built? “In the early '80s, almost 150 airplanes were based at Akron- Fulton, named for Bain E.
Where is the Akron Fulton International Airport Terminal located? April 3, 2014) shows the terminal located where the original terminal was located. right next to the Goodyear Airdock and has an address of 1600 Triplett Boulevard Akron, OH. building north and west of the runways. information to me if you think it will help to update this or any other item record. Again, we appreciate your expertise on this. Have a great weekend!